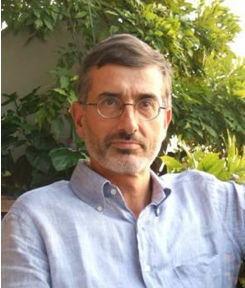 Paolo Bellavite is a medical doctor, born 9 April 1952, graduated at Trieste University (I) in 1976, specialized in Clinical and Laboratory Hematology. He holds an MPhil in Biotechnology (Cranfield University, UK) and a Perfectionation Degree in Health Statistics and Clinical Epidemiology. Currently, he is working as Professor of General Pathology in the School of Medicine, Verona University and in the School of Nursery, University of Ngozi (Burundi). He is also teaching a course in "Introduction to the knowledge of Complementary Medicines" at Verona University. His main area of research focuses on molecular and cellular aspects of inflammation, with particular regard to the structure, function and pathology of granulocytes (neutrophils and basophils), macrophages and platelets. He developed many micromethods in clinical laboratory to investigate pathophysiology and pharmacology of blood cells and free radicals. He carried out scientific research in the context of complementary therapeutic approaches and in particular on herbal and food components using cellular and murine models. His contribution to General Pathology includes study of complex dynamic systems and inverse effects of drugs according to the dose and the sensitivity of target systems. In collaboration with homeopathic doctors, he contributed to the activity of Observatory of Complementary Medicines with observational clinical studies and laboratory assays of homeopathic medicines like Phosphorus, Podophyllum, Gelsemium, Ignatia, Zincum and Arnica. He published over 250 scientific papers, 137 of which are indexed by PubMed-Medline, and several books including "The Emerging Science of Homeopathy" (North Atlantic Books, Berkeley, CA) and "Medicina Biodinâmica" (Papirus Editora, Campinas, SP). He was invited speaker at the 2015 LIGA International Congress in Rio de Janeiro on the topic "The mutual benefits of Science and Homeopathy".